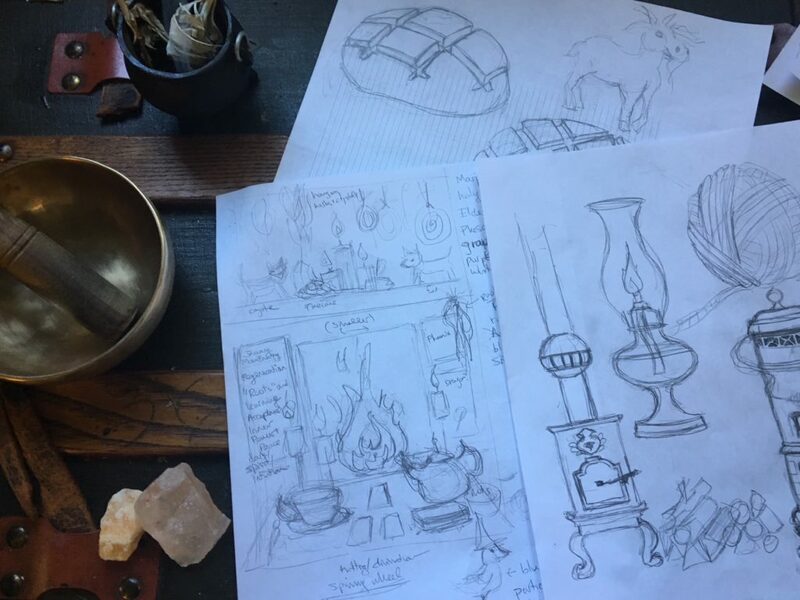 Blog New Book Announcement: Planner for a Magical 2019! New Book Announcement: Planner for a Magical 2019! A super quick announcement here to let you know that I’ll be releasing the “2019 Planner” in September, 2018! 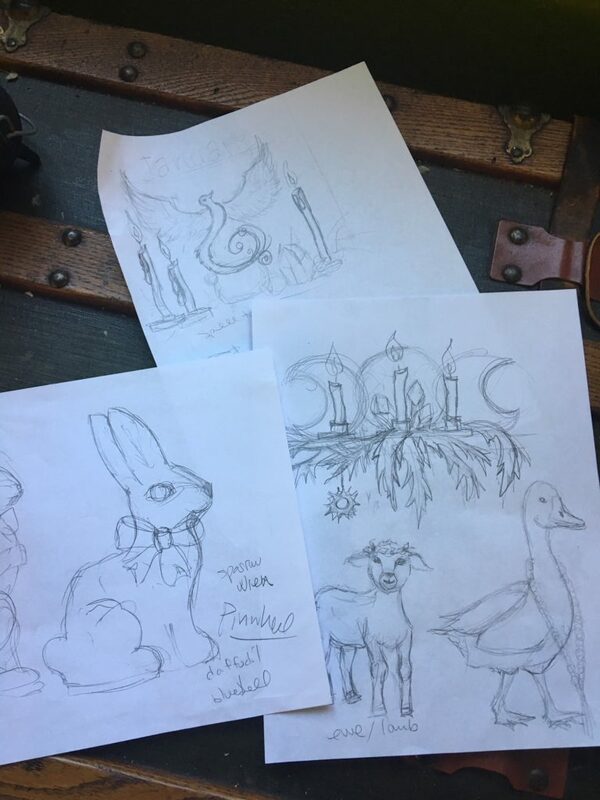 A few people have been reaching out to ask, so I wanted to formally update and give a little preview of some of the sketches and new things that I’ve been working on. By popular request, there are more food and animal correspondences, and I’m really excited about how it’s all coming out! It’ll be available in Paperback and Spiral-Bound on Amazon, and in PDF on Etsy. And maybe/hopefully I’ll do a Southern Hemisphere version slightly later, possibly November 2018. 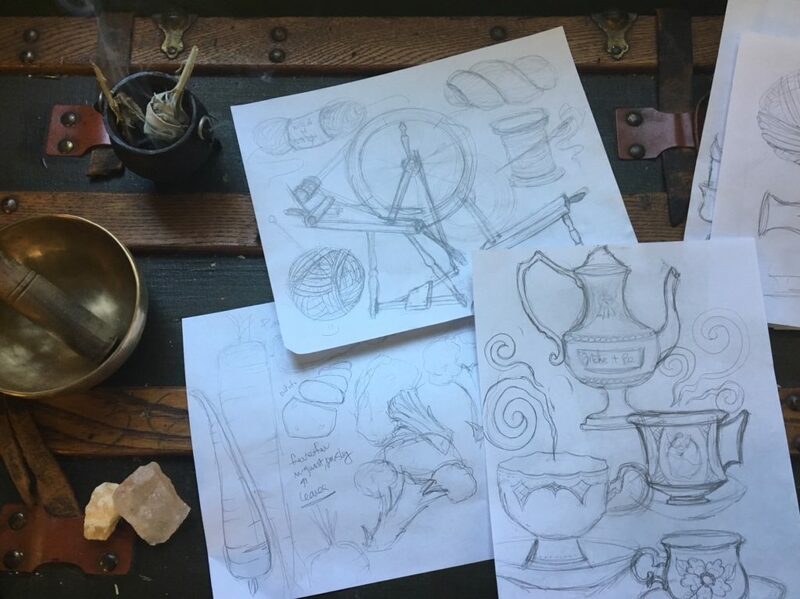 So… here are a few sketches and previews of some of my favorite new things that are in the works. Not all of it will make it into the book and it’s pictured in a “rough” state, but I hope you enjoy checking out some of the progress. Can’t wait to show you more soon. Love it! Can’t wait until its released. Can’t wait to order mine!! Very exciting! Looking forward to it! Oh I love the altar with the triple moon! I can’t wait!! I love ALL your books!!! 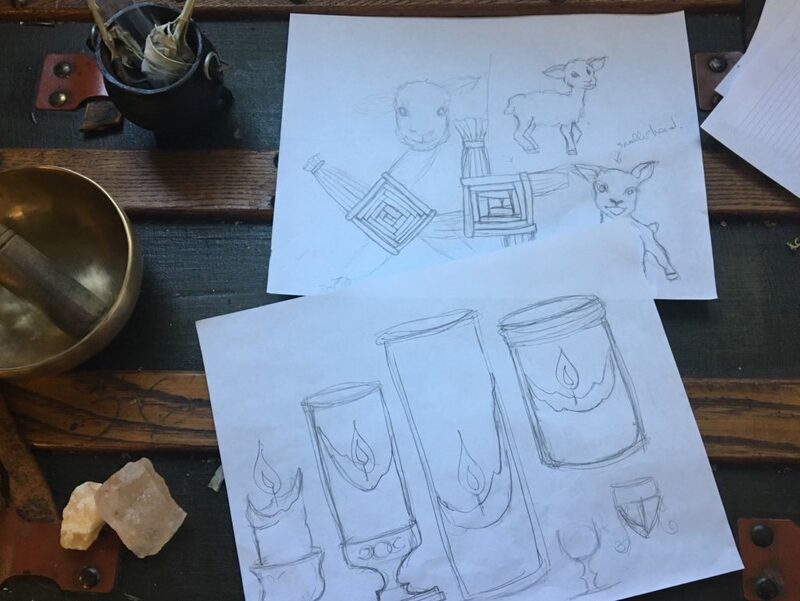 I think this year we may want to host your Planner like the Temple did last year at NYC’s Pagan Pride. Sold out quickly! Thank you Amy for sharing your knowledge and creativity with us all!! Beautiful work, excited to see the finished planner! thank you! Me too 😸📜🖌 Still lots to do but it’s unfolding into something cool, I think! Hurray! Another wonderful book! I love incorporating my busy life into the old ways. These planners help me to remember to stop and participate in my spiritual practice. thank you so much, Traci! ✨🕯📗 I’m so glad to hear that! I love love love it already!!!! Super excited for the teacups and the food!! Definitely gonna try out the spiral-bound I think it’ll be easier to color. You are so talented! It’s looking really good. Love the magical chocolate bunny. I’m soooooo excited!!! I cannot wait until this comes out! You have the best talent I think I’ve ever seen! Thank you for sharing it with all of us. Wow they look amazing, I especially like the yarn spin wheel and the fire place sketch. Looking forward to more! haha me too! <3 thanks so much Verida! I don’t think I will ever buy another planner! Will it be available as non spiral also? Either way I’ll be sure to order before you run out! The sketches look great!! I don’t want to wait to see the end result. I love your artwork and are on the edge of my chair waiting to see the final products. Can’t wait. So exciting! That spinning wheel is amazing! So excited! Where do I sign up?! Oh, I’m so excited! I’ll be able to integrate it into my Happy Planner and never miss another ritual! Yay! I have SO enjoyed the 2018 planner, and have been checking out Amazon for some time to see if a 2019 version was in the works. 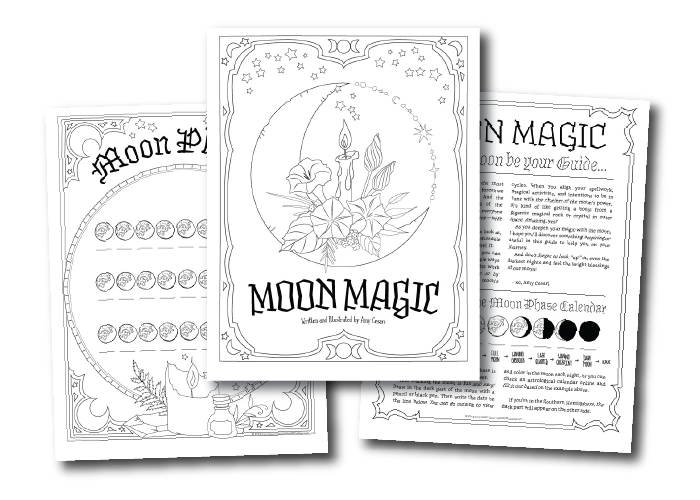 How wonderful that you are doing another one of these lovely “life workbooks” for those of us with magickal leanings. Many thanks, my dear!